I hope you've had a great start to the week. I am absolutely loving Motivational Monday posts at the moment and they're the perfect thing to get you feeling inspired and motivated on a daily basis! I came across the quote above over on Pinterest and I had to share it with you. It's so accurate for everyone and something to definitely live by. I cannot explain how important it is to work hard, stay ambitious and keep your priorities straight with your head held up as high as it can be. If you can conquer all four of these things, nothing will get you down. I've found in the past few years, the perfect way to stay ambitious is to make goals for absolutely everything; anything you can possibly make a goal for. Even if it's the smallest jobs on a daily basis, write it down! If you're doing something that you're not 100% loving, either find a way to love it 100%; or don't do it at all. On so many occasions I've seen someone doing a job or studying a certain subject or even blogging and they haven't put their 100% all into it because they do not love it. If you don't love it, change it. If you can't change it, don't do it. The best thing about feeling inspired is wanting to get up early every morning, drinking a huge mug of coffee and having breakfast. 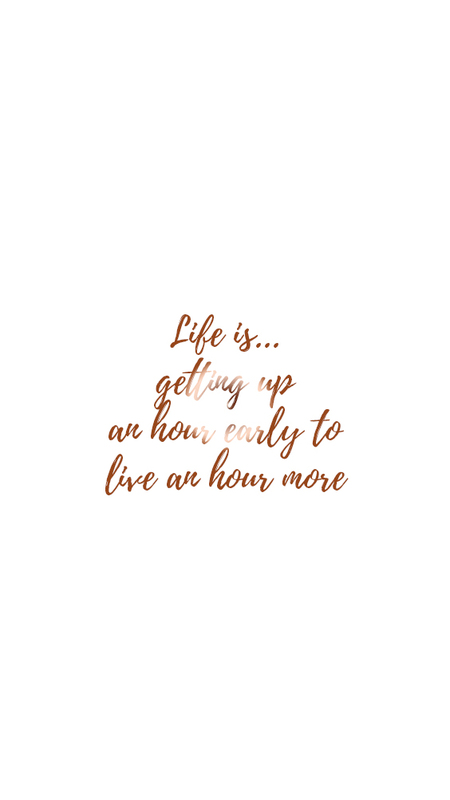 Recently I've been really enjoying getting up a little bit earlier so I can start my day earlier and it's definitely changed my outlook on each day and I've been waking up in a more positive mood too. If you're feeling down in the dumps at the moment, unmotivated with your life and uninspired; find ways to make a little change to your life. 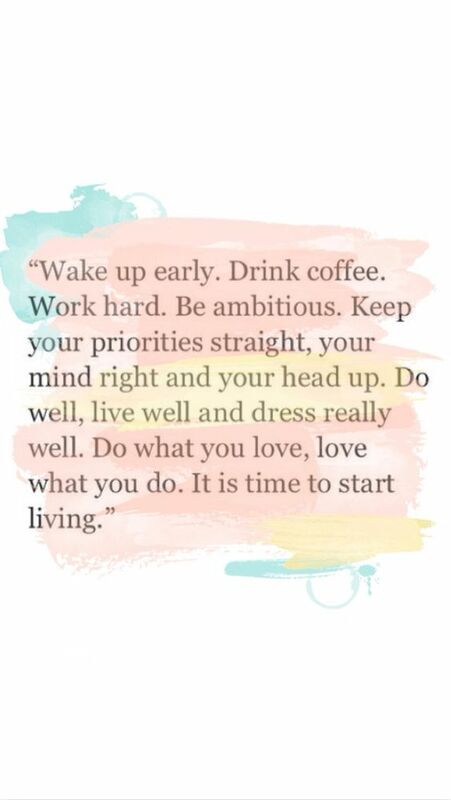 Wake up a little bit earlier; start drinking more coffee, or even just spend more time on YOU. It'll make the world around you completely change.